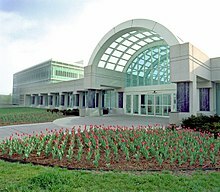 The Central Intelligence Agency (CIA) is a part of the Federal government of the United States located at the George Bush Center for Intelligence in Langley, Virginia. The agency was formed after World War II. Many of the people who started the CIA were previously in the Office of Strategic Services, the main American spy agency during the war. Gen. John K. Singlaub was one of the people who helped create the CIA. The current Director of the Central Intelligence Agency is Gina Haspel since April 26, 2018. The CIA is made up of four groups that each do different things. Their goal is to protect the US people. Many people feel that the CIA does more bad than good. Some people feel that the CIA does good by finding out secret information about enemies of the United States. Others think those secrets should remain secret. American law makes it illegal for the CIA and other agencies to kill foreign leaders. In 1992, Saddam Hussein tried to kill former President George H.W. Bush, who used to be director of the CIA, during a visit to Kuwait. The assassination plot was not successful. In retaliation, then-President Clinton ordered cruise missiles to be fired at the building of the Iraqi equivalent to the CIA. This occurred at night so only the cleaners were killed, not those who planned the assassination. CIA has many clandestine, or secret, operations. Some CIA employees have been killed while working. Their names are on a CIA memorial but some of the names are stil secret. The memorial has a star for them, instead. The CIA also uses open sources to gather information. Analysts read foreign newspapers and watch foreign news broadcasts to learn information which can be pieced together to make a conclusion. The CIA used to report to the President. After the September 11, 2001 terrorist attacks in the United States, there was a reorganization so that the CIA and other intelligence agencies, report to a Director of National Intelligence. The CIA has been featured in many TV and film productions - including, but not limited to, the American TV show "The Agency"; the American TV mini-series "The Company"; "Spy Game," starring Robert Redford and Brad Pitt; "Night Flight to Moscow," starring Yul Brenner; "Scorpio," starring Burt Lancaster; "Clear and Present Danger," starring Harrison Ford; "Ice Station Zebra"; and several James Bond films which featured CIA agent Felix Leiter. This page was last changed on 16 January 2019, at 15:40.